If you are looking for ways of how to cook beets, this is my favorite. Some people call these pickled beets and some call them spiced, but whatever they are delicious. I like to hard boil eggs, remove the shells and place them in a bowl. I then put the beets over top of the eggs. After boiling the liquid, I pour it over the beets and eggs. Refrigerate until cold. The longer they set in the refrigerator the better the flavor absorbs in the eggs. People of Eastern and Central European countries know how to cook beets; this vegetable is very popular in much of their cooking like soups. 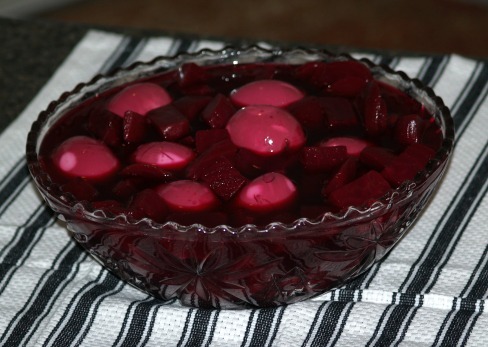 In Poland a dish of beets with sour cream is very important in the cuisine. In Germany (my heritage) besides pickled beets, they are very popular with only butter or served in a sweet and sour sauce. If you enjoy beets you might also try parsnips. 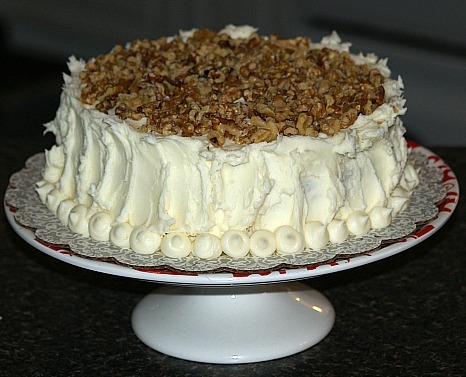 One of the best recipes I made when I learned how to cook beets was a cake. Of course for me, it had to be a dessert! Who would think red beets in a cake? Some people have asked if they could use red beets for the color to make the red velvet cake instead of the red food coloring. 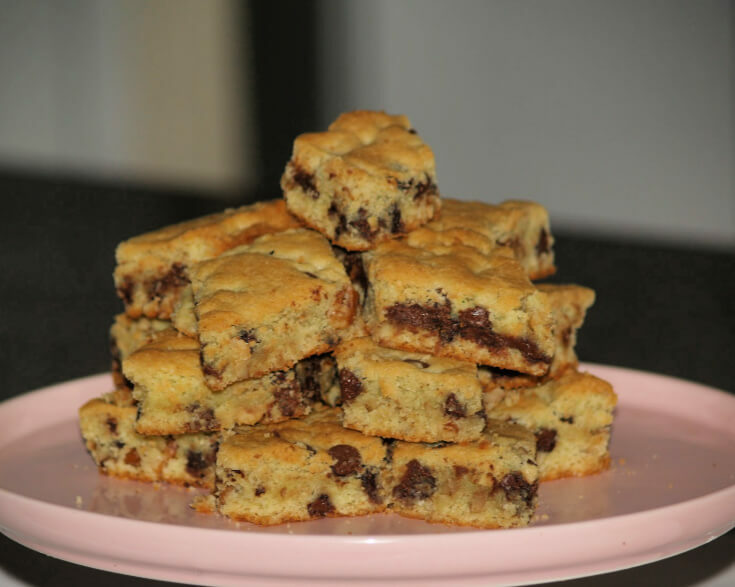 Although he batter is a pretty red color, after baking the cake is more of a brown color. 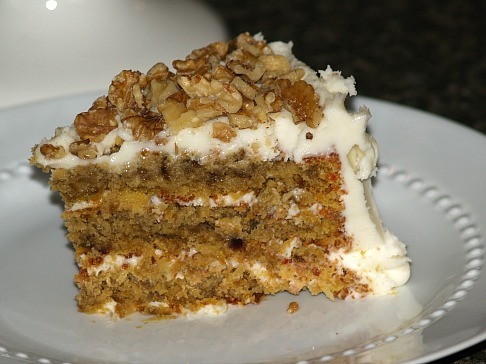 It may not retain the pretty red but the beets make this a wonderfully moist and delicious cake. Grease three 8 or 9 inch pans, line with wax paper; grease again and flour. Beat egg whites until stiff; set aside. Cream butter and shortening; gradually add sugar and beat until fluffy. Add vanilla and grated beets; blend well. Combine sifted flour, salt and baking powder; sift together and set aside. Add baking soda to the buttermilk. Add flour mixture and buttermilk mixture alternately to the creamed mixture while mixing. Stir in coconut and blend in well; divide evenly into prepared pans. Bake about 30 minutes or until pick comes out clean. Cool 5 minutes and remove from pans; remove wax paper and cool completely. Frost between layers, top and sides with your favorite frosting. NOTE: I like the cream cheese frosting found HERE. I also top mine with coarsely chopped walnuts. 1 Large can (16 ounces) sliced red beets, drained and save liquid in a saucepan. Add ¼ cup vinegar and ¼ cup sugar to the beet juice in the pan. Add ¼ teaspoon salt, 1/8 teaspoon cloves and 1/8 teaspoon cinnamon to the liquid. Bring liquid to a boil and boil for five minutes. Pour liquid over the sliced beets. Combine orange rind, juice, sugar, salt and pour over the beets. Cover and bake for one hour. Boil whole beets for about 40 minutes or until almost tender. Rub off skin under cold water. Scoop out center leaving ½ inch shell. Chop the removed beet pulp fine and add remaining ingredients. 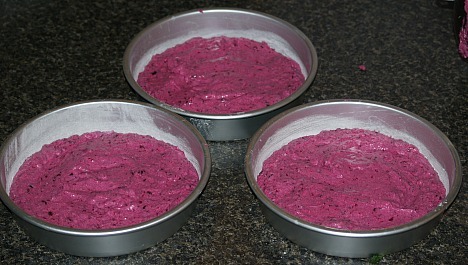 Stuff mixture into beet shells and set in a baking dish. Add ½ cup water around beets. Learn how to cook beets with this easy no cook recipe! Blend all ingredients in blender until beets are minced; serve with thin slices of cucumber and chives. When learning how to cook beets you will find many recipes made with canned beets do not have to be cooked. How easy is that? 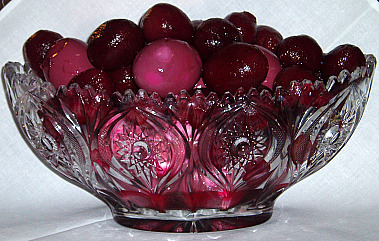 Arrange beets and onions in a serving bowl. Combine remaining ingredients in a jar with lid; shake well to blend. Pour mixture over vegetables; refrigerate to marinate for several hours before serving. If you are learning how to cook beets, you will find very few recipes which are sweet enough to classify as a dessert. 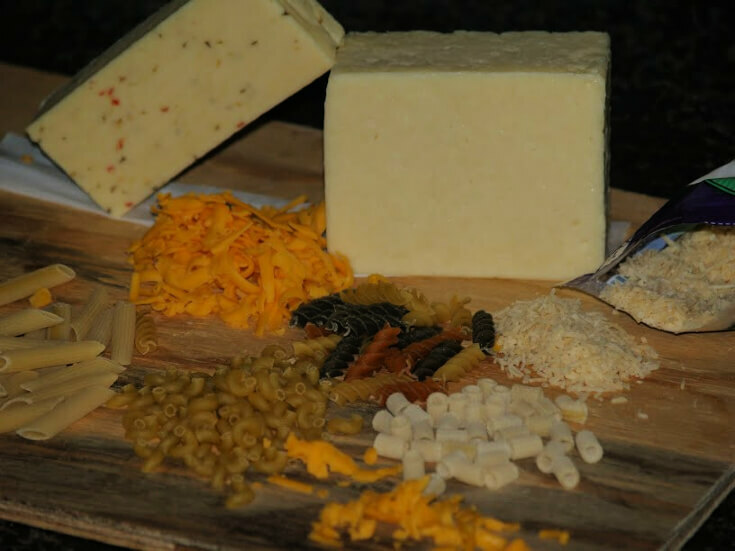 This one is and has a very good taste; just sweet enough to quench a sweet tooth. Drain beets and measure liquid; add enough water to liquid to make 1 cup. In saucepan bring liquid to a boil; pour gelatin in bowl and pour boiling liquid over gelatin. Stir gelatin until dissolved; add 4 ice cubes and stir until ice melts. Chill mixture until thickened; NOT SET. Stir in beets and pineapple; chill until set. Combine celery, sour cream and sugar; stir to blend. Serve about 1 tablespoon on each serving.